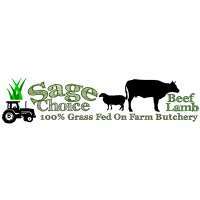 SageChoice, based in Bannockburn, is a farm butchery/shop providing a sustainable superior eating quality beef from grass fed cattle and lamb. SageChoice (Sustainable Agricultural Grass-fed Enterprise) is the new generation farming business dedicated to producing ethically raised farm produce quality beef in Geelong. We have an open farm policy and are completely transparent with our farming operations. We are distributor and supplier of quality beef to the stores of Victoria and surrounding suburbs. The Sage Store is stocked with our great beef and lamb, as well as an array of locally produced condiments and sauces to make your Paddock to Plate purchase just divine. If you're looking for a supplier of quality beef in Victoria, don't hesitate to call SageChoice today for enquiries.